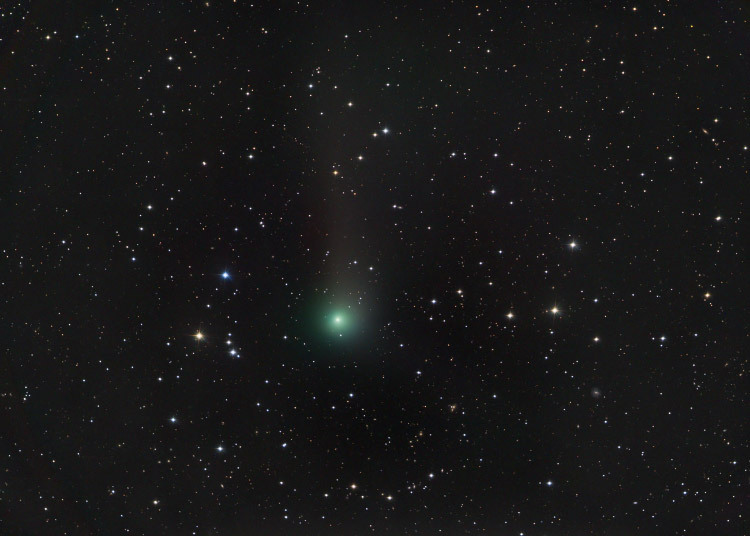 Comet Machholz Q2 now has reached 1.9 AU from the sun, cruising outside of the orbit of Mars. 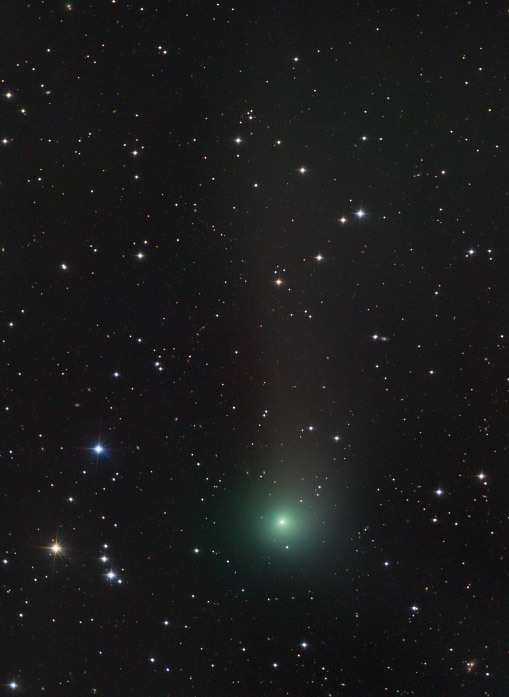 It still shines at a magnitude of 9.1, shows big coma and a diffuse tail of 0.5 degree. Within end of the year it will be at the distance of Jupiter and dimmed down to approx. mag 15.6. Below you find a crop on the center in 35/70% size. Date May 02, 2005 22:30 UT. Processing Image aquisition in Maxim DL, calibration in ImagesPlus; center of nucleus aligned seperately and inserted to the star aligned image.